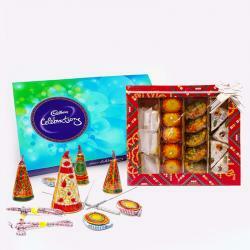 Product Consist : Cadbury Celebration Chocolate Pack (Weight : 118 Gms) and Box of Assorted Sweet (Weight : 500 Gms) along with Pair of Diwali Earthen Diya. 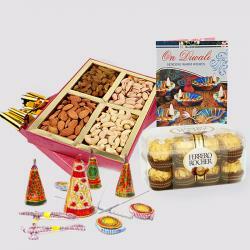 This hamper is perfect to be gifted on Diwali. Celebrate the diwali with full on enjoyment and positivity. 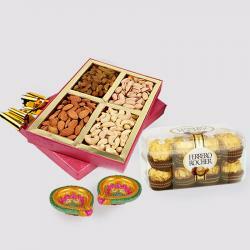 Grace your guest with this gift of 500 Gms of Assorted Kaju Sweets, Celebration chocolates pack and Earthen Diwali Diyas. 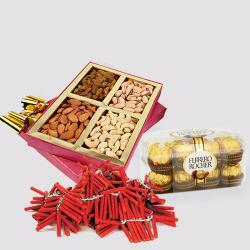 This gift pack has a special aroma in its style and combination. The Diwali Diya will bring brightness and positivity and will light up their lives with shine, Assorted Sweets will help to be healthier. This combo represents the power of love and care. 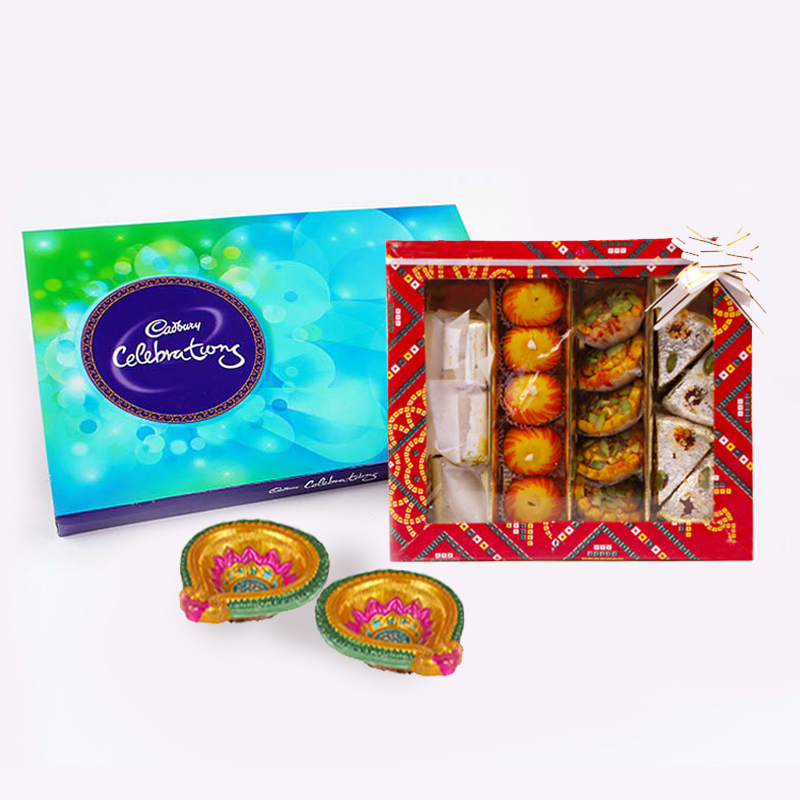 Product Includes : Cadbury Celebration Chocolate Pack (Weight : 118 Gms), Box of Assorted Sweet (Weight : 500 Gms) and Pair of Diwali Earthen Diya.